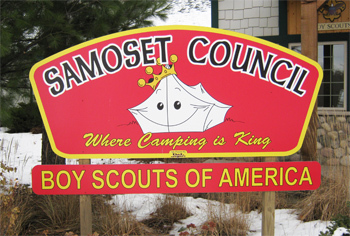 The Samoset Council has a strong tradition as one of the Nation's premier Scout Councils. Since 1910, the Boy Scouts of America has instilled timeless values of character, citizenship and leadership in each young person who has entered the Scouting program. The Samoset Council continues this tradition through educational based skills and activities. In 2010 our programs reached 6300 youth through 3000 adult volunteers. Cub Scouts (boys ages 6 to 10), Boy Scouts (boys ages 11 to 18) and Venturers (boys and girls ages 14 through 20) participate in action-oriented programs that fulfill the aims of Scouting. Exploring (boys and girls ages 14 through 21) focuses on career choices, such as law enforcement, firefighting, medicine or other areas. Take your time and look through this website. If you need information about joining one of our Scouting units, take a look at the Join Scouting section. If you want to learn more about our great camps, look under Camping. 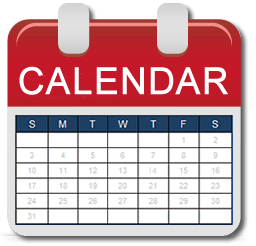 We take pride in providing full training for all of our volunteers and leaders, and you’ll find information about that in the Training section listed under program. Scouting wouldn’t happen without your support, and we invite you to learn about different ways to help in the Support Scouting section. The purpose of the Samoset Council is to manage and control the quality of the program, assemble and train volunteers, gather resources to implement, and to promote the program to parents, youth and the general community in the thirteen counties of North-central Wisconsin. The mission of the Samoset Council, Boy Scouts of America, is to help youth mature into wholesome, capable, contributing, and personally fit adults by instilling the values expressed in the Scout Oath and Law. Individually, the words in the Oath and Law are simple—but collectively they become words to live by. These principles, along with others, make Samoset Scouting more than what we do—but rather who we are—and what we will be. We are the Boy Scouts of America!